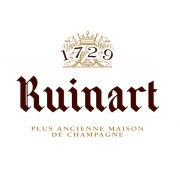 Ruinart is a historic Champagne domaine in Reims. 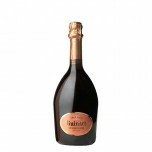 It was founded in the early 18th century by Nicolas Ruinart, who named it after his uncle the monk Dom Thierry Ruinart, who was an early advocate for the sparkling wines of Champagne. 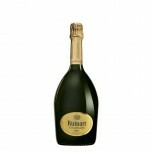 The estate refers to itself as the first true Champagne producing domain, having shipped its first commercial vintage in 1730. Today Ruinart is part of the LVMH empire of luxury goods. The estate does not own its own vineyards but obtains its grapes from growers who control some 650 acres of vineyards. About 2.5 million bottles are produced annually. 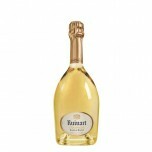 The prestige cuvee is the 100% Chardonnay Dom Ruinart Blanc de Blanc, though the estate also makes well-regarded roses and non-vintage Champagnes. WS92 A strong whiff of graphite turns quickly to vanilla and coffee flavors on the palate, with a..
Ruinart is a historic Champagne domaine in Reims. It was founded in the early 18th century by Nicola..